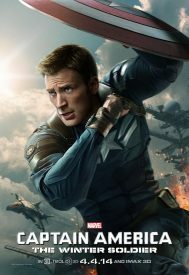 TV2 will screen the network movie premiere of Captain America: The Winter Soldier the same week its hugely anticipated sequel, Captain America: Civil War, opens theatrically. 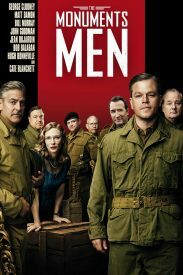 It will air on May 1 at 8.30, just ahead of TV3’s network movie premiere of The Monuments Men at 9.40. The George Clooney-directed war romp about a real-life Nazi art heist will be preceded by a 7pm re-run of the original Transformers while 24 hours earlier TV3 will air Ice Age: Continental Drift (the next instalment in the franchise, Collision Course, opens in cinemas here on July 7). With key dramas like The Blacklist and Chicago PD having become ratings casualties, TV3 is resorting to more movies to plug its primetime holes. In the week starting April 30, movies will dominate its schedule on four nights, including another network premiere, The Other Woman, on Monday at 8.35. That week TV3 also will repeat Date Night (8.50 Saturday) and The A-Team (8.30 Wednesday). Expect the strategy to continue until mid-year, with romantic movies on Mondays and action fare on Wednesdays: the former will counter-programme TV One’s crime dramas and the latter its sudsy dramas. Other coming attractions in HD on TV2 include the network movie premiere of 3 Days to Kill (10.50 Saturday) and re-runs of She’s All That (7.00 Saturday) and The Switch (8.55 Saturday). Meanwhile, Prime is switching its movie night from 8.30 Tuesdays to 9.30 Fridays, starting with Wild Target in HD on May 6. The rejig makes room for The People vs OJ Simpson: American Crime Story and Soundbreaking as a powerhouse double-bill on Tuesdays while Wednesdays will be refreshed the same week, with CSI Cyber replacing Limitless ahead of the NZ Drug Foundation documentary, Driving High, and two local series starting the following week. What’s happened to The Blacklist as I see it restarted in the US on April 07? Hi Philip. Are there going to be any ratings posts? I read that Nielsen won’t be sending out any ratings data to journalists because of the amount of requests being made, is this the reason your blog hasn’t been making any posts? Hi Paul. Because of low ratings, TV3’s shunted The Blacklist off to on-demand service 3Now, so it’s up-to-date with the US but in shabby SD. It was covered here thanks to Clint alerting me to the move. Sorry, Leo, but for the time being I don’t have access to daily ratings data. I was previously accessing it unofficially but no longer can and it’s too costly to source directly from Nielsen. Would love to resurrect the ratings analysis as you and many other readers keep asking for it. But as this site isn’t a paying proposition, it’s a long shot. Thanx Philip. Guess if I want to watch the rest of The Blacklist it will be on channel internet. Not interested in “on-demand”. Paul, You should be able to get the eps of Blacklist via FreeviewPlus – in HD. And with the FreeviewPlus announcement today adding FreeviewPlus to Satellite anyone should be able to get it.Still Ondemand but at least to the big screen. Thanks, Mike. But I thought 3Now was still in SD, regardless of the platform. Is it HD on FreeviewPlus? Thanx Mike. The problem is I have to go and get new hardware to watch it hence channel internet is still a cheaper option. I see that 3Now ap is still “Chromecast” coming accord the the FAQ in TV3’s web page so who know how long that will take. In the past TVNZ and MediaWorks considered “casting” akin to piracy. Thanks for the reply Philip. Hopefully in the future the ratings posts return. Keep up the good work! !